It’s been just over a month since The Breakfast Club, and indeed Boxpark Croydon, opened their doors to an eagerly awaiting public. Having won the hearts of many of London’s East Enders, The Breakfast Club have only gone and done it again in Croydon. A rip-roaring success from the word go, turning breakfast into dinner with a mean cocktail to boot, this is clearly only the start of things to come. 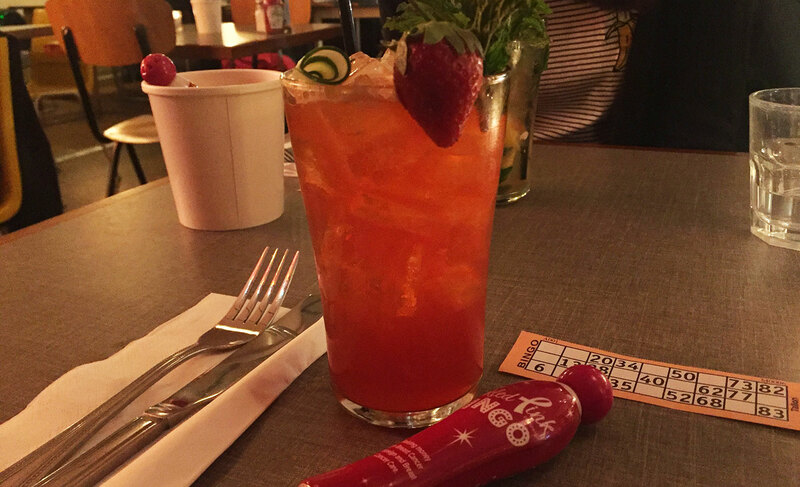 Last week was testament to that with the launch of a their Boozy Bingo event at their Croydon branch. We were invited along to check it out. Based on the top floor of Boxpark Croydon, The Breakfast club venue is like a trip back in time… well, taking the best bits and pressing fast forward. 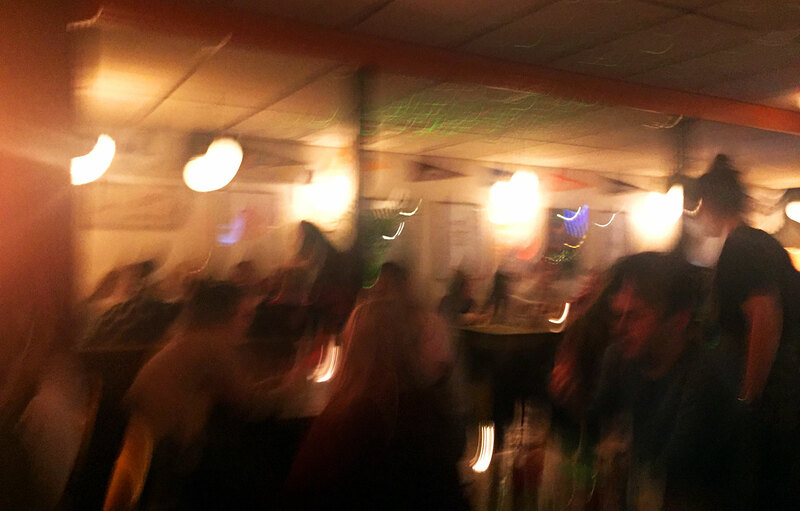 It’s a homage to the 1980s in decor that plays worship to the most important meal of the day. Breakfast. It’s where ‘all day brekkie’ means just that and what’s more, it’s accompanied by a soundtrack of 90s coolness. You’ll see many a punter smiling at the opening of yet another classic. Feet tapping, heads nodding, and we’re set for a fun evening. This warm glow from the great atmosphere doesn’t end there. Once seated, we get stuck into the menu. There’s a fab choice for both veggie and meat eaters and it’s not all breakfast options either. Julia went for a halloumi and butternut squash burger, which I have also tried. It’s deliciously juicy and messy, so use a knife and fork. 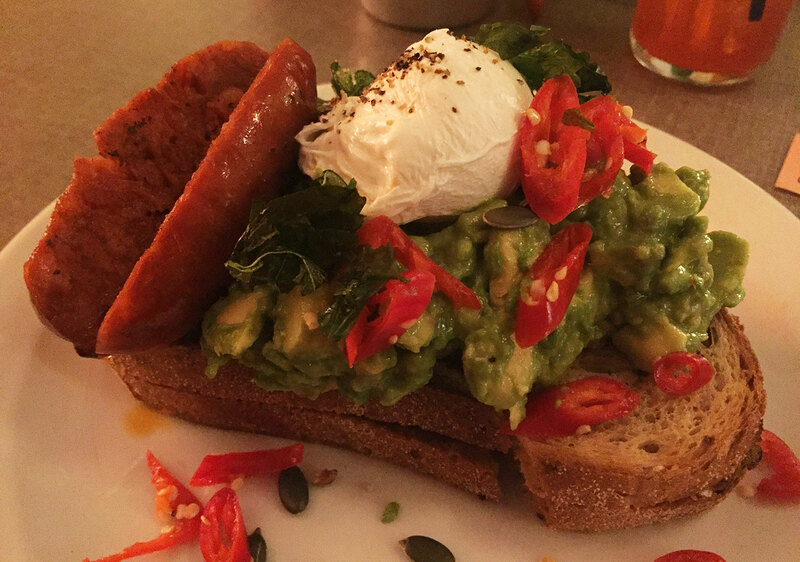 I went for one of my favourites: avocado and poached egg with chillies, basil, lemon juice and pumpkin seeds on multigrain, adding chorizo for a meaty kick. Never a disappointment, this is my breakfast obsession at the moment. Other tasty recommendations (from previous visits of course, I’m not that greedy) are Sloppy cow – beef chilli on a double burger with cheese (yum), and for veggies, try the Veggie All American – pancakes, eggs, veggie sausage (yes I’ve used veggie three times in this sentence), mushrooms, home style potatoes and maple syrup. After dinner it was eyes down and pens up as our host, comedian Cassie Atkinson, kicked off the first round of Boozy Bingo. I’m told she plays a different character at each event. 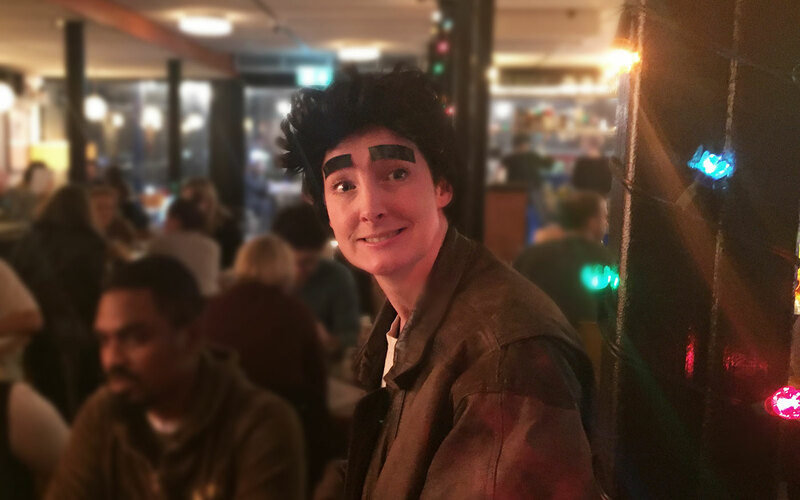 This time she could be found sporting rather attractive tape eyebrows. 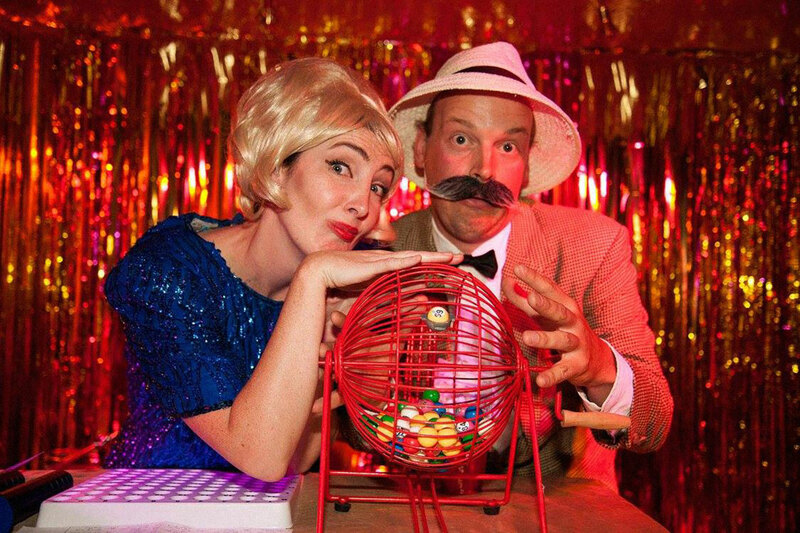 I really didn’t know what to expect, being a bingo virgin and all that, but with the rules simply explained and a host bringing a huge level of hilarity to the game, it was pretty easy to get into the swing of things. Get a line, win a prize. Get a full house, win a prize, with shots also being given away collectively to the whole room across the evening. It certainly made for a fun and friendly atmosphere with an audience interactive comedy stint throughout, where we all became part of the show. Now if the thought of that makes you cringe, please don’t. It’s all done in a very respectful way with a most talented host, who has a keen eye to pick those that seem up for the challenge. 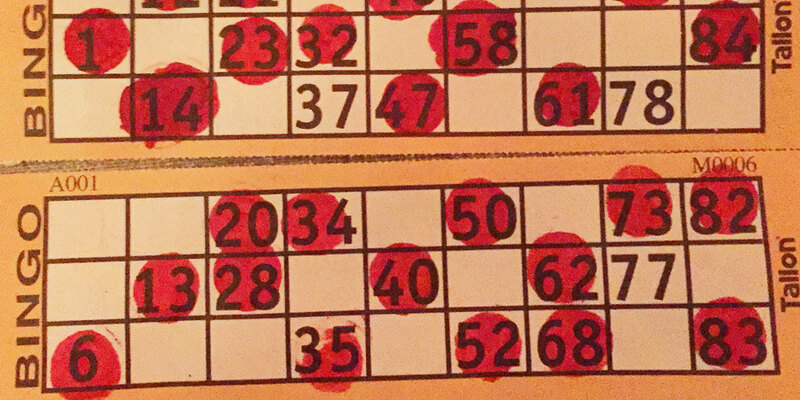 For £5 a ticket, you certainly have your evening’s entertainment sorted, with three games of Bingo, free shots and a 2-4-1 happy hour on other drinks, it’s certainly boozy! Plus you get a comedian thrown into the mix (I haven’t laughed so much on a night out, in a long time). All in all, it’s a bit of a bargain – I’ll definitely be back when it returns in the new year.